This book represents an attempt to apply a cross- cultural approach to the problems of Africa. It is argued that problems such as poverty, HIV/AIDS, ethnic conflict and corruption stem from the inadequate attention paid to the development of personal subjectivity on that continent owing to the communitarian ethos which pervades social and cultural relations. 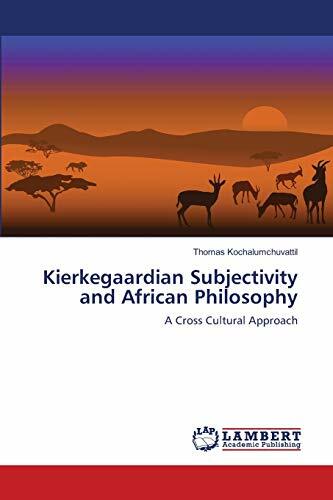 In an effort to remedy this state of affairs the thought of Søren Kierkegaard in relation to subjectivity and intersubjectivity is closely examined with a view to its possible application in the African context. Thomas Kochalumchuvattil is a priest belonging to the congregation of the Missionaries of St. Francis de Sales. Since ordination he has ministered in Tanzania teaching philosophy and Theology in the Salvatorian Institute Morogoro. He is now the Dean of the Lumen Christi Institute Arusha.